← Cooking with Olive Oil Is NOT Healthy! That little nubby celery stump that you normally throw away is valuable. It can live its own 99 lives. Here’s how to use it to punch your ticket to vegetative financial freedom. You Should Do This If: You enjoy eating celery and don’t want to pay for it anymore. Cut the celery stump from the stalks about two inches from the bottom end (where they all connect—you know, the base). 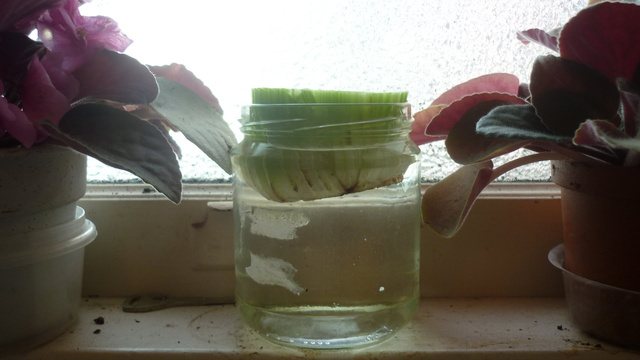 Fill the shallow dish with tepid water, set the stump in there too (cut side up), and put the dish in a sunny windowsill.